Since the reissues’ release in May, some fans have complained about the sound quality (one Amazon commenter says the new version of Ragged Tiger “almost sounds like a third generation cassette copy you would make back in the day”), although such carping is common with reissues that use modern compression techniques to boost volume. It’s much more rare, however, for labels to acknowledge these complaints, perhaps the most notable case being Rhino Records’ decision to recall and then re-reissue New Order’s first five albums last summer after glaring errors were uncovered. 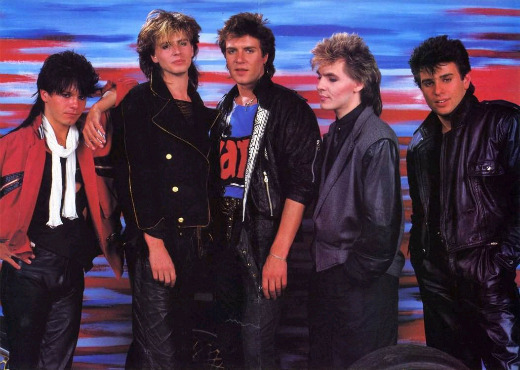 “It has come to our attention that some fans have suggested that the mastering on the recently reissued editions of Duran Duran and Seven And The Ragged Tiger is incorrect. Mastering is always subjective, and we acknowledge that the mastering on these versions is different to that of previous remasters, however that does not necessarily make it wrong. We have received both positive and negative comments about the mastering which is usual for any project – although those that don’t like the sound of these new records are by far in the minority. We will always take on board constructive criticism and act upon it, where we believe it appropriate, and we respect the opinions of the fans. However, in this case there have been some personal comments about the mastering engineer that were highly offensive, wholly inappropriate and unjustified. EMI have been notorious (no pun intended) for screwing with this band. I would not be one bit surprised if it was done on purpose…..
Rather disappointing, on a number of levels. Assuming the last reissue of the self-titled record and the singles box (both from 2003) are digitally remastered, isn’t it a bit ridiculous to assume that the tape deteriorated that much in seven years? Couldn’t Nick have sent the sample of the camera click over to the mastering studio to fix it? And none of this would have been so infuriating if the sets hadn’t been delayed so much. Makes me incredibly nervous for the Notorious/Big Thing reissues. The remasters sound like $h!t anyhow, not counting the glitch (though the recent ‘Rio’ is okay, not great.) If you want “good” sounding copies seek out the original Japan (or Japan for U.S. market) pressings from the mid-’80s (e.g. ‘Rio’ “Black Triangle” release). Andy Taylor…man I miss him in the band, he always tells it like it is, lol. Who gives a crap about these remasters, let’s hear what Duran Duran can do in 2010!!! hmmm….I haven’t picked these up yet but maybe I won’t!?? Maybe I’ll just keep listening to my vinyl! Remember folks, buy used CDs with mastering from greater than 5 years ago. Don’t trust any mastering younger than 5! Why does this not surprise me I wonder? Moreover if it comes from the bloody EMI whose business policy is the worst one among all the majors. If Rhino could replace bad pressings of New Order albums I can’t see a valid reason why EMI wouldn’t do the same with Duran Duran’s. This is yet another reason more why I’ll keep on hating EMI further on. Enough said! Camera click fiasco => Confronted with degraded tape, did Andy Walters not think to lift a sample from an original reference CD he doubtlessly had sitting within arms reach? Perhaps he didn’t care to, or didn’t bother to reference. Aside from being plain sloppy, it shows a disregard for the Duran legacy, being the essential complaint of the remastering as a whole. So no, it’s not objective taste, it’s simply a bad job. And worst still that EMI approved the work. No wonder they are on the defensive. All very poor. I’ve never thought for one second to buy the re-issues, and EMI’s way of treating their customers, some of whom have been buying DD records for almost 30 years, have proved me right. I stick to the old vynils and cd’s. By the way: no Andy, no party. Where was Nick Rhodes in all this? I’d think he’d have a heavy hand in the re-mastering. I’m a long time duran fan and I have a good friend who masters for a living, and he’s taught me so much. honestly, the level on those remasters is boosted and compressed (actually brick-wall limited) to the point that they are actually distorting. yes, mastering is a creative process in itself and it is subjective, but distortion in the digital realm is an absolute no-no, you can not go above 0 db in level or you will get bad news, you end up effecting/affecting the original art so much it’s almost unrecognisable. for me these discs are unlistenable. Well, I have all the original CDs issued in the 80’s and 90’s. They do sound really great, I’ll definitely stick to them…. I wonder why there is such run among the majors to release such ridicolous “remasters”. What does it pay to boost and compress music like that? Do companies think it’s so hard for us to simply pump up the volume of our amplifier when we need to? This distorted crap can be understandable (not acceptable) for house/disco crap, not for other kinds of music. Andy was one of the most underrated guitarists of his generation… The remasters don’t sound that bad (The Notorious one sounds OK! ), but they are nowhere near as good , sound-wise, as the recently remastered Beatles, U2, and Stone Roses material…. DD were (and hopefully still are) great, and they don’t need numpties like that one trick pony, Timbaland and ‘Silver Spoon’ Ronson to help give them cred…. The beatles remasters were handled with great care. Why no consistency EMI? I always try and buy my albums on vinyl but stopped reaing he vinyl listing as soon as I read digitally remastered. Someone doesn’t buy an analog medium to listen to a digital recording. This Duran Duran is only one example of why I generally avoid CDs with “remastered” on the packaging. I’m original CD or vinyl, all the way baby! I sunmitted a website above since I got an error stating all fields needed to be filled out.